LTH: What's going on with the band right now? What are you currently working on? Atrium Noctis: At the moment we are sweating at the Studio with new Band members at 35° to record the new CD. LTH: People become a musician for a wide variety of reasons. What are the factors that originally inspired you to play music? Are you playing for the same reasons today as you were when you started? Why or why not? Atrium Noctis: In the beginning there was no inspiration for me at all, to play Music. I come from a family of musicians and it was a duty for me, to learn five instruments already as a child. It's only been since my music studies where I have become aware and also been able to access the spectrum of personal means of expression about music. Meanwhile I love it, to transform my fantasies into tones and I can't erase these thoughts out of my life ever again. LTH: Whether by using genres and styles or simply adjectives that let people know what your band is all about, please describe your music in your own words. In addition, can you recall a description someone has given about your music that is the most accurate? It's also independent and enjoyable relaxed on Dark works, Atrium Noctis can thus be no doubt counted for domestic spearhead as the stylistic subcategory. 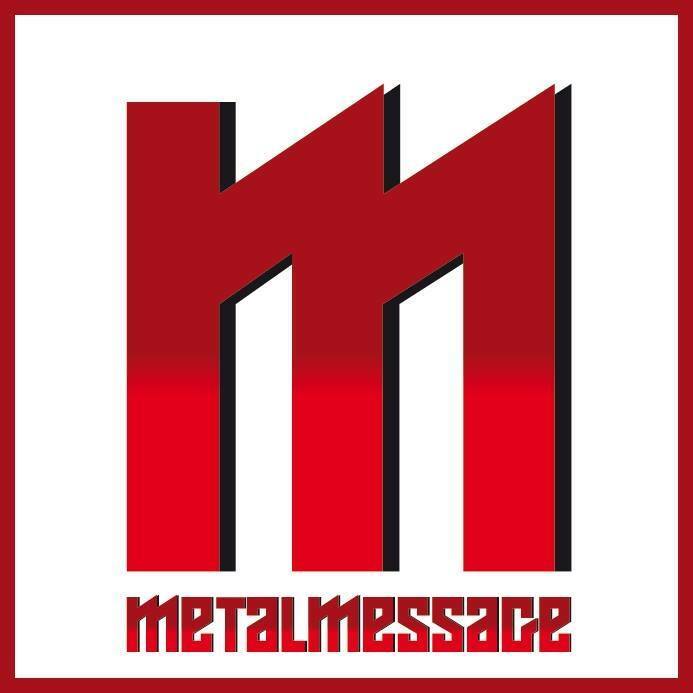 Highly varied designed Symphonic Melodic Black Metal at its best "(Metalmessage 2010). "... There is no going back, I'm trapped in a symbiosis of classical symphony, sublime melodies and cold malice, of which I have not dared to dream"
( des Kutschers Kunst 2011). “..seems to be one of the greatest up and coming teutonic black metal acts!” (two guys metal 2013). LTH: Discuss one or more things about your music that distinguishes you from other bands. Please explain what you like about this aspect of the music and why you believe these differences make your band more interesting to listeners. Atrium Noctis: Our music differs from others band through the big sound images, that anthemically, melancholically, but partly very malignantly make an appearance. The melodic i.e. harmonic in the foreground is based on a classical build up structure and is supported by aggressive hardness. The music of Atrium Noctis creates musically as well as lyrically a fantasy world, that's about mystical beings, sayings and legends. But it also describes stories of heroes, that are confronted with an inevitably, mostly devastating fact: death. Hard to say, in which draw we most suit with the music. I would describe it as epic symphonic black pagan. LTH: Fans love getting to know more about things that inspire their favorite artists. What and who are some of your influences? Please give them a few details about why you like creating music and what things inspire you to make it. Atrium Noctis: Of course you can barely ignore the influences from Beethoven, Brahms and the russian composers of romance as influences. But also bands like Dimmu Borgir, the old Graveworm songs, especially with Sabine Mair, Finntroll, Summoning and Hans Zimmer have left deep trails in my musical creations, from what I have unbound myself again from though, to go own ways. I'm a musical story teller. Probably even the last in this genre. I pull my inspirations out of pictures, feelings, encounters with interesting people. Over the last time I have often already written in encrypted form and it's always amusing for me how, those who it's about don't (can't) know about it. The music of David Bowie in my younger years has really appealed to me, especially with the song „Five Years“ and the following line „Don't think you knew you were in this song”. At the moment I'm really fascinated by the voice of a finnish metal singer, that will bring to life again the next song with the first riffs already. LTH: Which of your band's songs do you feel best represents your sound? Why? Atrium Noctis: That's hard to answer at this point. We always have really different sounding songs on the albums, but that are all representative for themselves. For us it was a real problem for every album, in which order we should record the songs, because every piece is very meaningful in its own way. LTH: Who is the person or people most responsible for helping your band get to where it is today? Atrium Noctis: My good friends, producers and promoters: Wolfgang Horn, Oliver Weiskopf, Markus Eck and Nick Homfeldt. LTH: What has been the most difficult challenge the band has had to overcome? How did you approach this barrier and what did you specifically do to overcome it? Atrium Noctis: The biggest challenge was, to lead the band into appeals of higher quality and goals. Eventhough I have tried everything, to motivate and support the former musicians, the result in the end was the change of musicians and the construction of a new band setup. LTH: Every person is in some way, a product of his or her environment. How have the things you deal with on a day-to-day basis affected your music? Would you say the music in your home area has influenced your group? Please explain why or why not. Atrium Noctis: Being attached to old fashioned values like for example honour, dignity, human size and devotion, I miss these very much in our society. So we create a parallel fantasy world together, where humans have exactly these characteristics. The music in our environment has influenced us negatively: we didn't want to become the hundredth death metal band in the region, but instead play our own music. The longer we did this, the greater became the defferal. Eventhough the audience taste is often very death-favoured, I reject it, to accept hardness as a pure end in itself. So from that we clearly differ from other bands. LTH: Have you opened for any major acts or toured? What is the first performance that pops into your head when thinking about your gigs? Atrium Noctis: We had a German label. Eventhough this one promised us a Germany tour and different sort of gigs, none of those happened because of the label’s fault. The collaboration was then dissolved by mutual agreement. When I think about our gigs, I can instantly think of three situations: We were already glad, to have security at concerts with death metal bands; we rejected invitations to the next cemetary after the gig with a thanks and we drink with fans only out of chalices, that actually have alcohol in it. Nothing else. LTH: What can your fans expect from your live performances? What particular aspect of your concerts brings in crowds? Please give us some examples. Atrium Noctis: We try always, to also lead our guests visually into our dark world. That's also why we don't come on the stage with jeans and runners and work with props and lights. Everything that's financially possible of course. Music can always only be a part of the show. Otherwise it wouldn't be a show. LTH: Chemistry within a band is very important. When the band originally formed, what was it about playing with the other musicians that impressed you the most? What is it about the chemistry between the members that makes the band unique? Atrium Noctis: What impressed me the most about the musicians, when I founded the band? Honestly: I can't remember anything. As a woman in a death metal area I was glad in the beginning, to even find any musicians at all. Today I say, that the chemistry between the musicians makes up about half of a stable cooperation. Not only factors like believe in the music, endurance ability, discipline and of course musical abilities, but also certain liking and trust are essential. For example during the songwriting we bring something to the fore, what touches our deepest soul and what we could never put into words and wouldn't want to be able to either. Having said that, trust is a basic requirement. The respect for the ideas of every single musician and our professional work attitude in a peaceful and relaxed atmosphere make us unique. It doesn't matter, what we have gone through with the band already, a bad word has never been used, there wouldn't be any yelling, humiliations or insults. That can all be done differently. LTH: Thank you for taking the time to speak with us about your music. What's the next step for the band? 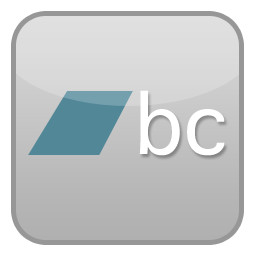 Do you have a special event like a concert, tour or release coming up that you'd like to discuss? Please conclude by giving the fans a few parting words. variablen Vocals, ratternden Grooves und beherzten Angriffen in stimmiger Art und Weise. "… hier wurde viel Herzblut investiert und eine eigene Welt geschaffen." 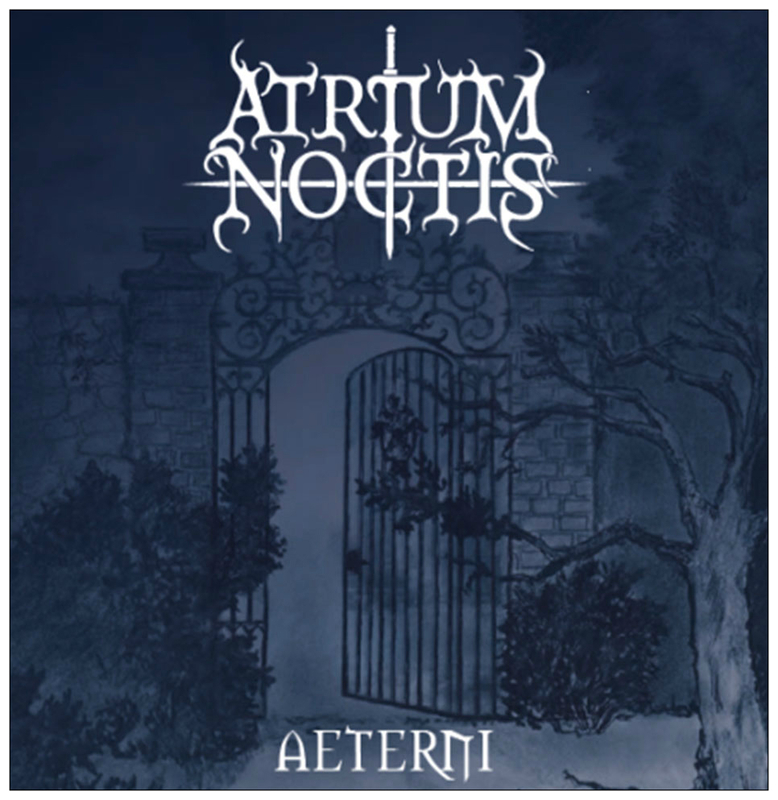 If you like Black Metal with a touch of rarity then this release of ATRIUM NOCTIS is going to interest." Pagan Black Metal-Fans, die nicht immer nur das übliche Geflöte hören wollen, sollten hier definitiv ein Ohr riskieren.